I am not a deep-fried person at all. I like to cook and eat healthy. BUT, when I saw those zucchini blossoms at the farmers market, evil took over and all I could think was stuffing them, dipping them in beer batter and frying. After making a pact with the high cholesterol gods and promissing them it will be only this one time, I headed home with a bag full of those babies. 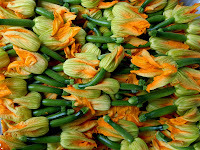 Let me tell you, these are one of those delicacies that show up in the market for a very short period of time in Spring. 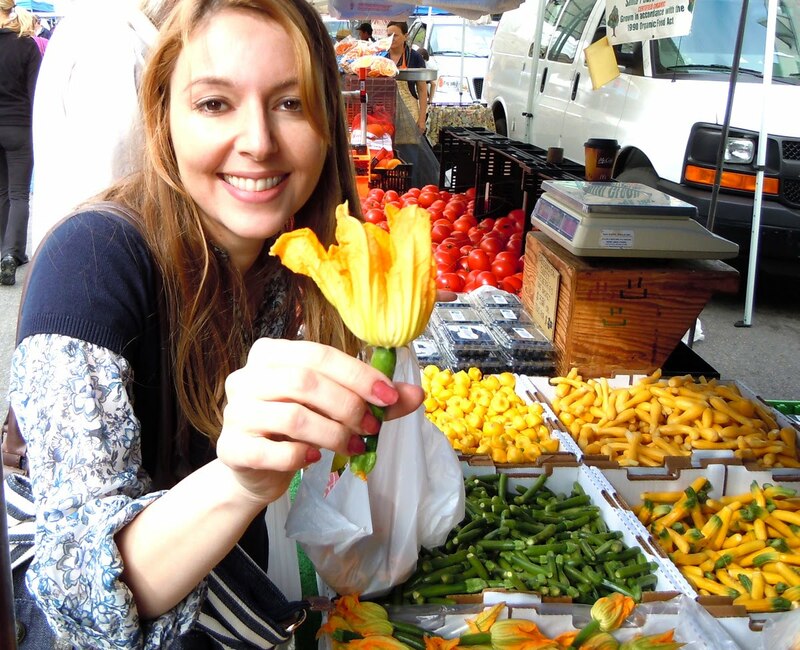 They are very delicate and I recommend cooking the same day you buy them. The recipe is not really difficult but it is a little time consuming and possibly a little messy. This is a staple in Italian cooking in springtime. Wipe the zucchini blossoms, remove the pistils and make sure the cavities are clean. Mix all the ingredients of the filling together so you make a paste. check the salt. Fill each blossom with this mix. Some people use a pastry bag. I just used a smaller spoon. Twist the end of the blossom to secure the filling. In another bowl, mix well the batter ingredients. Heat the oil in a deep frying pan. Mine was close to an inch deep. When the oil is hot enough, dip the zucchini in the batter and fry in small batches. Turn them carefully a couple times to make sure they are nice and golden brown. Serve them immediately. As an appetizer 2 per person sprinkled with a little parmesan. As a light meal, 4 per person with a nice arugula salad. If you don't like salami, you can substitute for chopped anchovies or just skip it. I also deep fried a few without the filling just to try and they were really nice too. 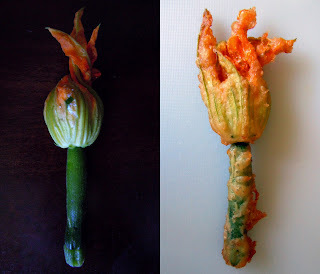 This I have had and forgotten about it so I am all excited at possibly finding some squash buds of my own to drench in beer batter and dip into a pan of hot oil. yum! Oh yeah...I must pay homage to the health Gods too. bad bad I be but this is living and going without is dieing. A treat as I see it...mmm cream horseradish sauce is what I like dipping them in to kick it up a notch. These look amazing!! I didn't realize you had a blog... now I must follow it. So far so good!